Designer Martiniano Lopez Gomez is known from the Performance duo Los Super Elegantes. The duo worked together for sixteen years. Mixing Art, fashion and theater. Designers art background can be seen in his imaginary creations. He has a talent to mix bald silhouettes and authentic forms with strong colors to create a balanced mix of minimalism and boldness. 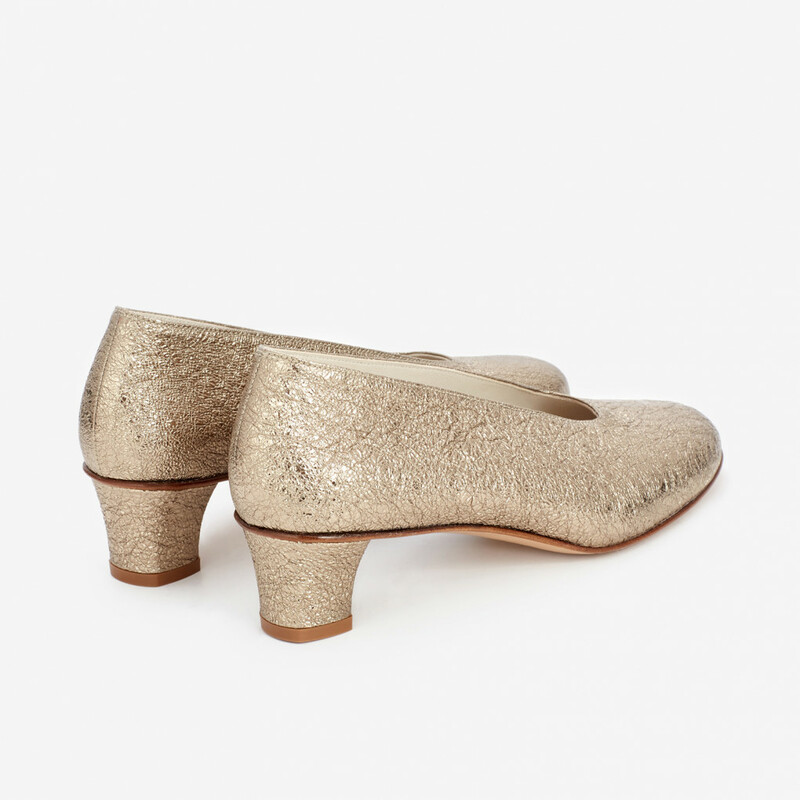 This high heeled version of the cult glove slipper in platinum gold is a good example of his inventive visions. The style is a development from the low version which was originally designed fo. Read more.. 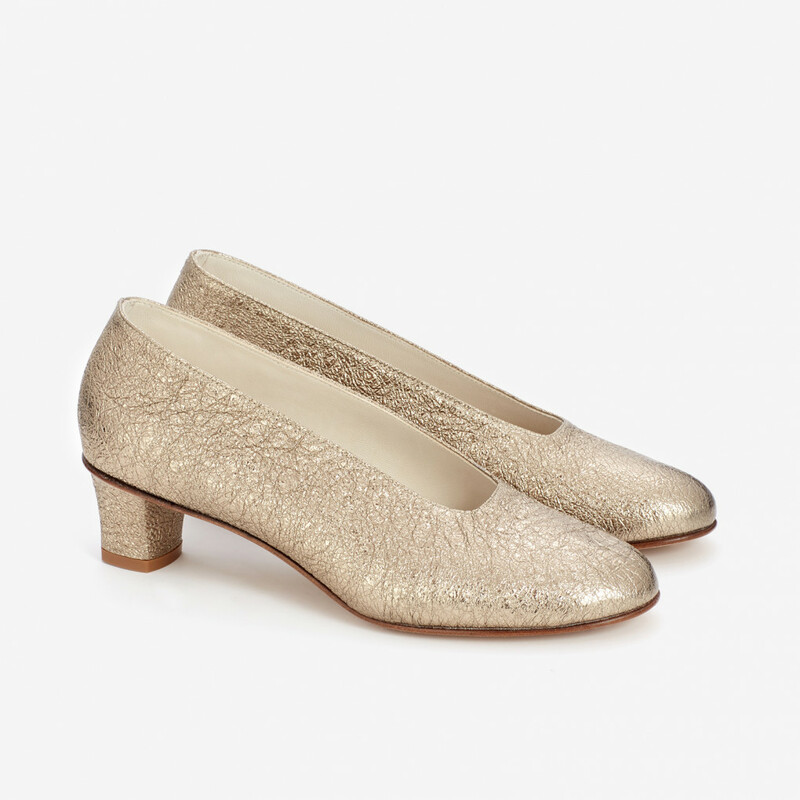 This high heeled version of the cult glove slipper in platinum gold is a good example of his inventive visions. The style is a development from the low version which was originally designed for men. Insole is padded. Leather covered heel is 45 mm high. Contrasting natural leather sole with rubber island under the heel. Round toe and form fitting shape. 1 x Platinum high glove slippers was added to your shopping bag. 1 x Platinum high glove slippers was added to your wishlist.